Finally, after nearly three years of waiting, more than 27,500 former customers of Full Tilt Poker received their balances back. Late Thursday night, word started trickling in of balances hitting bank accounts all over the United States. The Garden City Group, Inc. (�GCG�) had informed people that the first round of payments was set to commence on Friday, February 28th, and they kept to their word. This came after a long process of submitting and verifying petitions, verifying account balances and testing bank accounts. in the end, 27,500 people were reunited with their long trapped FTP account balances in this first wave of payments. Further rounds of payments are going to take place in the future. People who missed the first round of payments due to incorrect or incomplete bank information and former affiliates of Full Tilt Poker are those who will be included in future rounds of payments. 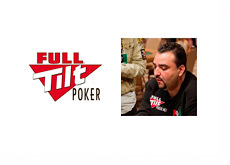 The last three years have been a long and strange saga for the former customers of Full Tilt Poker who still reside in the United States. There were numerous head fakes along the way as the story unfolded, head fakes that included Phil Ivey�s �white knight� and the eventually aborted offer from Groupe Bernard Tapie. 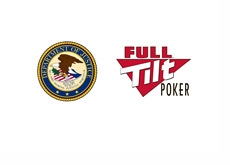 In the end, the absolute best thing happened, as Pokerstars and the US government agreed to a settlement deal that included the full repayment of all of Full Tilt Poker�s former customers. If another buyout had ended up going through, the result of the entire saga likely would have been much different. There have been a range of emotions from people who have finally been reunited with their money. Joy after finally getting their hard-earned money back. Anger after considering the fraud and complete mismanagement that took place at Full Tilt Poker 1.0. Many people received substantial, life-changing sums of money back from the government this week - money, at times, that looked like they might never come back.